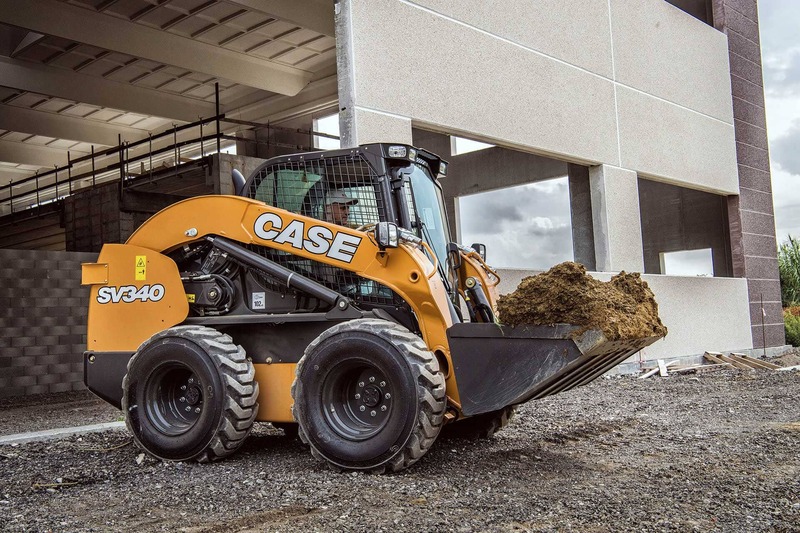 CASE Construction Equipment has added performance with increased operating capacity, and upgraded emission standards of its four most technologically advanced skid steer loaders and compact track loaders. 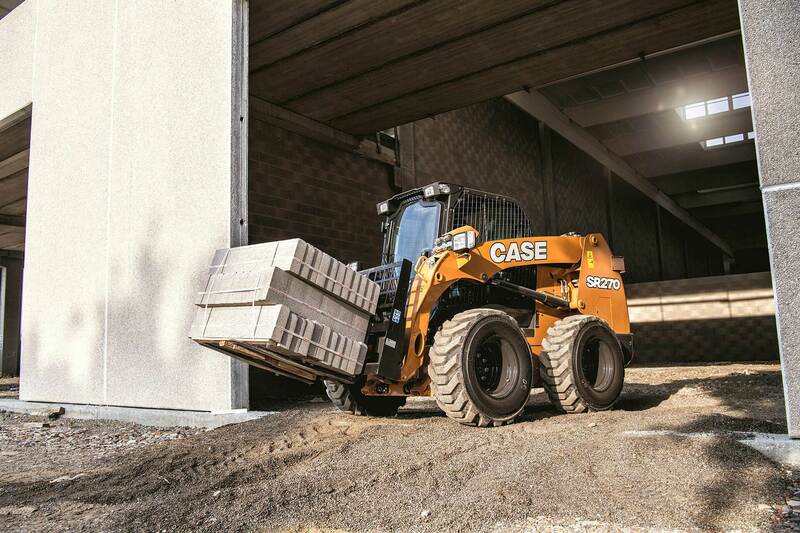 Technical updates mean that all four 90 hp compact loaders achieve Tier 4 Final compliance; that CASE now offers the most powerful skid steer in the company’s history and the largest radial-lift skid steer on the market. A number of detail enhancements have also been made across the range of nine skid steer loaders and four tracked loaders. By offering such great versatility and reliability, these vehicles will be found working on landscaping, highway, and construction projects throughout the world. 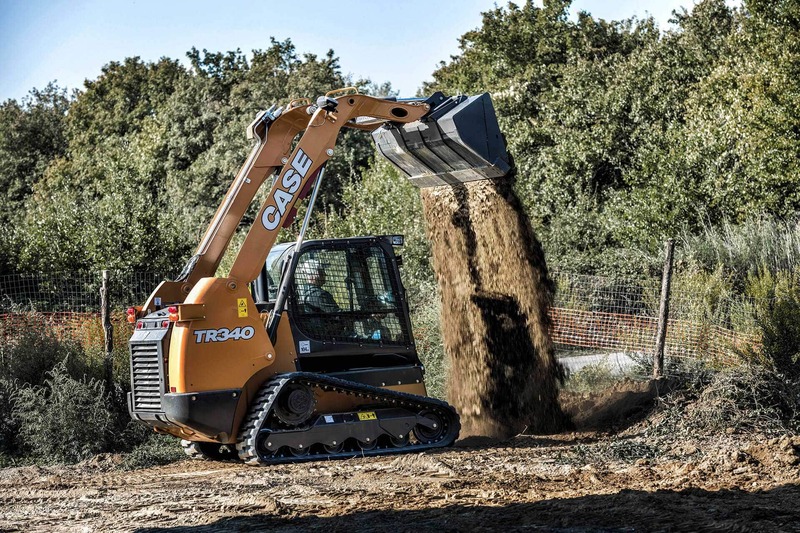 CASE was the first construction equipment manufacturer to offer both selective catalytic reduction (SCR) and cooled exhaust gas recirculation as solutions towards meeting stringent emissions standards. SCR improves fuel efficiency, keeps exhaust temperatures down, removes the need for exhaust gas recirculation, and eliminates the need for diesel particulate filters and their associated maintenance. Now this SCR-only technology is being brought to the upper end of the compact loaders’ range with the so-called Compact High-efficiency SCR. The 90 hp Compact Hi-eSCR engines, designed and manufactured by CASE’s partner company FPT (Fiat Powertrain Technologies), have higher combustion efficiency. Combustion efficiency enables lower heat rejection and a reduction in the exhaust gas recirculation (EGR) rate from 25% to 10%, the lowest on the market. 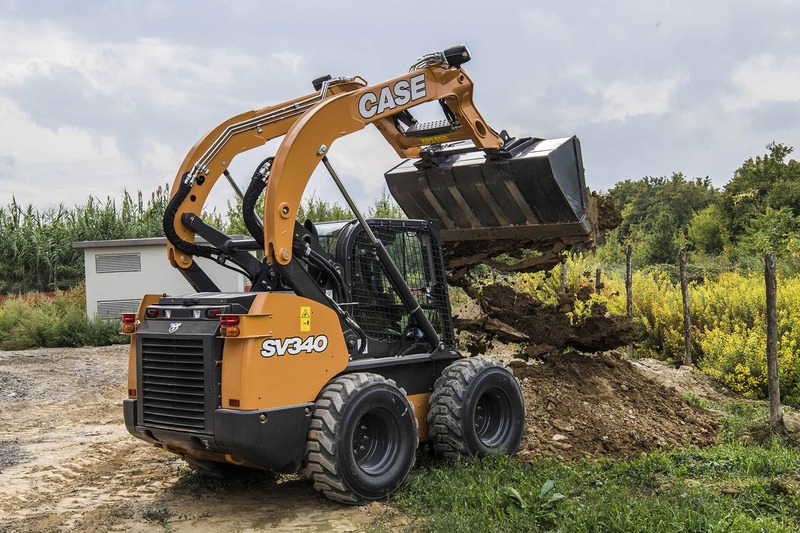 One operational benefit of these changes is better load response, enabling the engine to react more quickly to sudden demands for increases in torque, which happens quite often during the operation of a skid steer. This high-performing engine has excellent torque output (383 Nm at 2,500 RPM) and is directly coupled to the hydraulic pumps, which means that all the power of the engine is transferred directly to the wheels. New model numbers have been introduced to reflect the significant advances in operating capacity. The radial lift SR270 and vertical lift SV340 skid steer loaders replace the previous top-of-the-range SR250 and SV300 models. The radial lift TR340 compact track loader replaces the TR320. The vertical lift TV380 track loader also achieves lower emissions, but because its operating capacity is unchanged it retains the same model name. The rated operating capacity rises from 1135kg in the SR250 to 1225kg in the new SR270; from 1360kg in the SV300 to 1545kg in the new SV340; and from 1451kg in the TR320 to 1542kg in the new TR340. To support the increased performance, the vertical lift models come with a stronger lift arm, as well as reinforced H-link and upper chassis. Another real-world advantage of these upgraded models is their outstanding bucket breakout force, which ranges from 38.6 kN on the SR270 up to 42.4 kN on SV340. All these models also have one of the industry’s widest cabs, with 360-degree visibility, making the operator’s job easier and safer. The overall compactness of the engine and ancillaries makes access easier for servicing. This, like the elimination of diesel particulate filters, helps to reduce operating costs and operational downtime. In another refinement, to help the efficient running of even the most power-hungry work tools, hydraulic power has been increased by 10% in compact loaders specified to Package Level 7. This gain has been made by modifying the Enhanced High Flow (EHF) piston pump to reduce heat generated at relief and by optimising hydraulic system flow and pressure. Another upgrade is that the heavy-duty rear door which covers the radiators is now a standard feature on SR270, SV340, TR340 for additional protection. CASE is introducing new, heavy-duty buckets with factory-installed bolt-on teeth that are easy to replace with standard wrenches. These give increased tearing power, enabling more efficient digging in rough terrain. In addition to all these practical improvements, CASE is also introducing a new aesthetic option. Skid steer owners will soon be able to personalize the livery of their machines by visiting CASE’s new online Tattoo Lab, where they can choose from a selection of large and colorful transfers which affix to the rear-sides of the vehicle’s bodywork. In summary, CASE continues its tradition of building powerful operating capacities into a platform that is easy to use for operators in all industries. All these upgrades went into production in July at CASE’s manufacturing plant in Wichita, Kansas. This 46,000 square-metre site, which opened in 1974, celebrated a milestone in March 2017 when it produced the 300,000th CASE skid steer/compact track loader. In December 2016 the plant was awarded Silver Level World Class Manufacturing (WCM) certification, one of global manufacturing’s highest standards for the integrated management of manufacturing plants and processes.